With only five diplomas, we’re really gonna need you to drag this speech out, Chip. By all available accounts, the peak of the kickback scheme between Ecclesia College and former Arkansas legislators Jon Woods and Micah Neal (to name but a few) was between 2013 and 2015. It was during this time that Ecclesia, with the help of Rep. Bob Ballinger, also started buying up more property, either because they were expanding or (more likely) because it was a good investment given the lack of property taxes they were paying in Benton County. 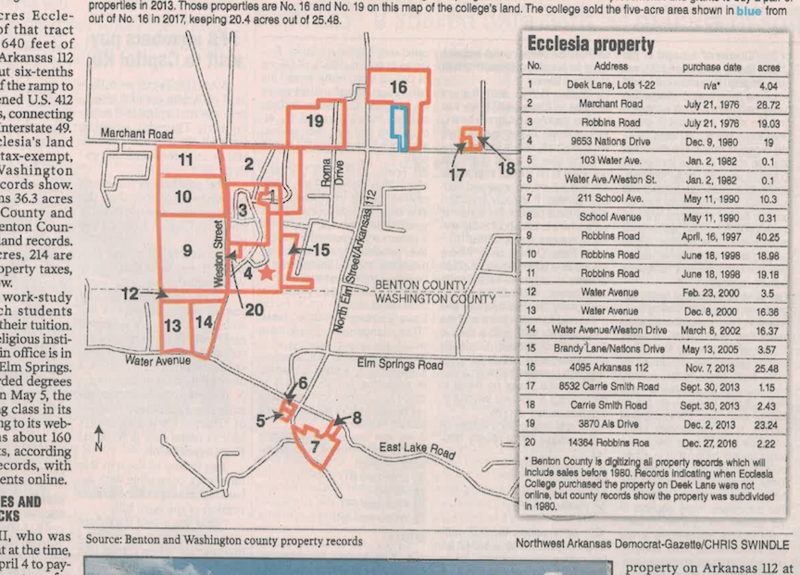 In 2013 alone, Ecclesia bought over 50 acres of property around the campus, a 25% growth in the amount of property owned by the school. At that point, Ecclesia College (founded in 1975) was nearly forty years old. It was (and is) also the 8th most expensive four-year school in Arkansas. It was, at least at the time, one of seven liberal arts “work college” designees in the entire U.S., though that designation seems to have been revoked recently. Throw in the physical growth of the size of the campus around this time, and a casual observer in 2014 might have thought that Ecclesia was a legitimate school on the rise in Arkansas. Peel back the curtain even a tiny bit, however, and the illusion falls apart so quickly that you have to wonder how Ecclesia receiving state funds didn’t become an issue even before the kickback scandal broke. Bibles for the Nations, Living Alternatives, Elm Springs Christian School, Ecclesia Children’s Ministries, Ecclesia Relief and Development, Ecclesia Prep, and Twila Paris Productions. 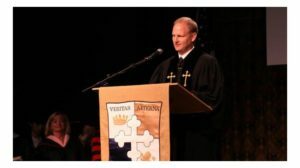 It wasn’t until 1995 that Ecclesia College, as of then still unaccredited, offered its first four-year degree: a Bachelor of Biblical Studies. In 1996, Ecclesia applied for accreditation from the Association for Biblical Higher Education. After a nine-year (!) “self study,” Ecclesia received accreditation from ABHE in 2005. That’s an 11.6% graduation rate, consisting of FIVE graduates in 2016. Five is 11.6% of a class of about 43 students. So, of the 43 students who enrolled at Ecclesia College in 2012, five graduated in 2016. Not that 2016 was an aberration. 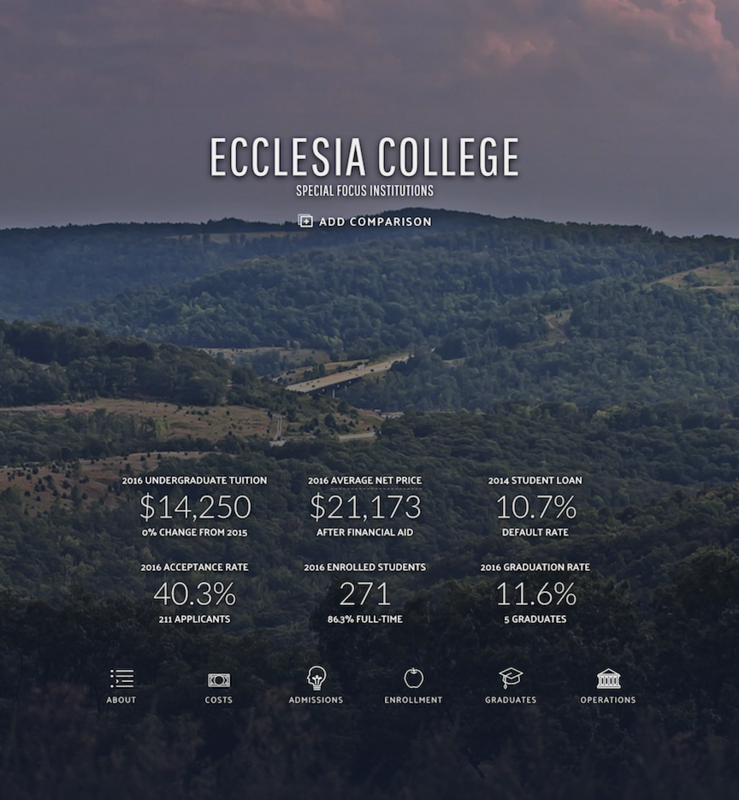 Depending on where you look — and depending on whether you are calculating based on 4, 5, or 6 year graduation rates — Ecclesia College consistently has a graduation rate between 6 and 15%. Compare that to some of the schools consistently considered the most difficult for undergrads. MIT has a graduation rate of 91.6%. Reed College has a graduation rate of 80.6%. Swarthmore? 85%. 11.6% graduation rate is, to put it bluntly, abysmal. That graduation rate, combined with those ACT scores, makes Ecclesia easily the worst college (2- or 4-year) in the entire state. Yet, this is the college that Jon Woods got other legislators to send GIF money to? And not one of those legislators looked at this data and asked why in the world they were being asked to give state funds to such an underwhelming institution? Did any of the legislators who sent GIF funds know anything about Ecclesia other than it was a religious institution that “graduated conservative voters”? It would be bad enough if Woods and Neal had been running their kickback scheme with a college that actually produced graduates who were trained to perform in the real world. (One suspects, however, that no real college with an ounce of self-respect would engage in such criminality.) But it is markedly worse when the scheme runs through a college that barely graduates anyone. 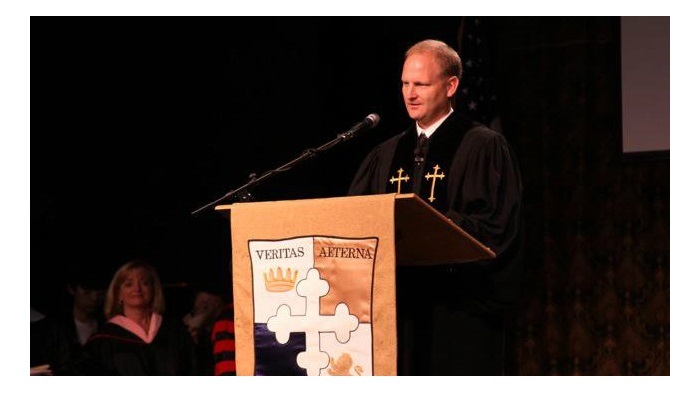 Between leaving students in debt and without a degree and not paying property taxes, it is hard to see where Ecclesia has done much good for anyone not directly profiting from the school’s lack of moral compass. As a final, almost predictable coda to all of this, I note that Ecclesia abandoned all pretense of being a real school interested in actually teaching facts to students in 2016, when it announced that its new political science building would be named for discredited faux-historian David Barton. Because of course they did. In their world, they are a college, David Barton is an historian, and Jon Woods is a public servant. You just have to wonder why so many Arkansas legislators seemed to agree with that assessment.